I put the question out there and you have answered! First, the demographics. I had responses from 15 different genders, the most unexpected of which was “taupe”. I had responses from 16 difference ages, 13 of which involved numbers. Why did no one comment “2”? Weird. Not surprisingly there was a unanimous response to the goblin shark question. That was the easiest question ever. 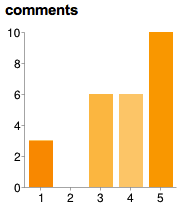 There was also a selection of other feedback. Apparently respondents suspected deception. Hmm. Also, it seems questions about colours are popular with almost 50% of people who answer questions about taupe. Wikipedia says “a dark grayish brown or brownish gray” so I guess the masses (26 responses) were collectively rather close to the answer developed by the even larger collective that created wikipedia. Nice work collective! 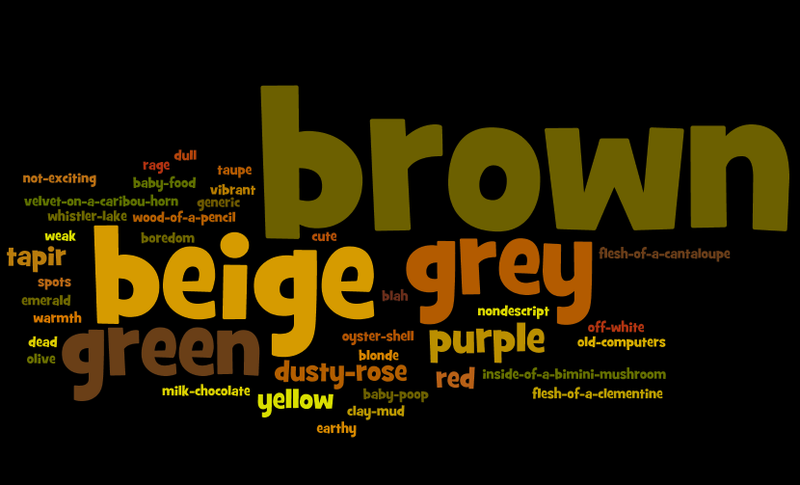 This entry was posted in Ramble and tagged taupe, word cloud. Bookmark the permalink. Something you might find interesting, Grace feel things in colour, like when she’s being pushed on the swing and she’s going really high, it makes her fell white and something, I don’t remember what, makes her feel yellow. I’m not sure what that means, but I find it very interesting. Not sure if she’ll ever use the word taupe though, maybe when she’s bored?